I know the word 'routine' might sound scary for some of you but routines aren't all that bad if you really think about it. Having a consistent morning routine will help you have a more productive day and will help you create certain habits that are good for you. With that being said, having a morning routine does not mean you can't change it up here and there. There could be days where might not have enough time to complete your morning routine or you simply just don't want to do it. That is totally okay. 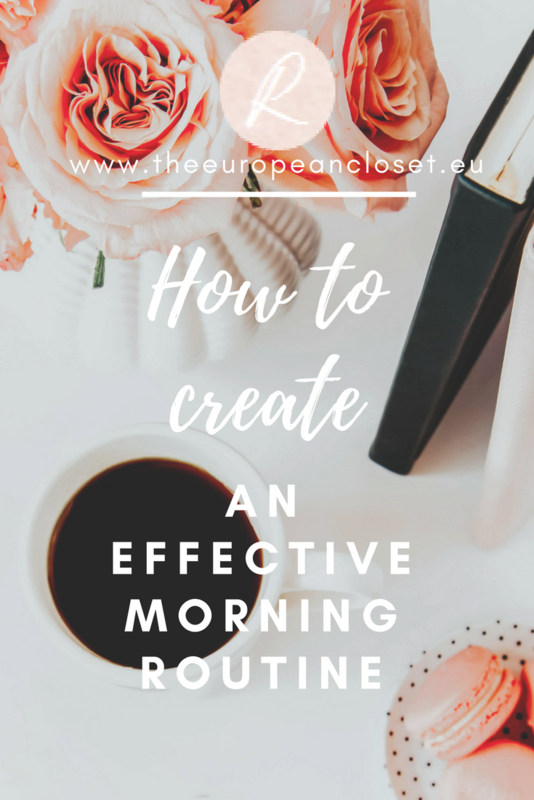 A morning routine should serve as a template of what you would want your morning to look like and your goal should be to recreate that template as much as possible. Here are some ways you can create an effective morning routine. If you're looking to create a new morning routine it's either because the one you currently have is not working for you or don't really have a routine. The first step you should take when creating your ideal morning routine should be writing down everything you'd like to accomplish each morning. Grab a piece of paper and write down at what time you'd like to wake up, how much time you would like to dedicate to your morning routine and all the tasks you'd like for them to be a part of your routine. Now that you've written down your ideal morning routine, you need to decide how much time you can dedicate to each task. Kepp in mind the amount of time you set up for your morning routine. If the all the tasks you've written down take longer than you'd want your morning routine to take, I'd either suggest you take some out or extend the time of your routine. If you opt for the first option, the best way to eliminate tasks is to see which ones can be moved to another time of the day. For example, you'd like to work out and watch a tv show in the morning but you only have time for one. Choose one of these tasks to be apart of your morning routine and complete the other at another time of the day. All that is left now is for you to try out your ideal morning routine! Never forget that this is not a set-in-stone thing and you can always tweak it out to make sure it fits your needs and time as best as possible. Do you have a solid morning routine or do you just go with the flow?